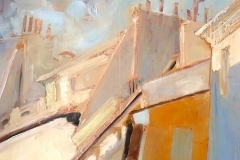 Joanna paints in oils and watercolours and draws in pen and charcoal. 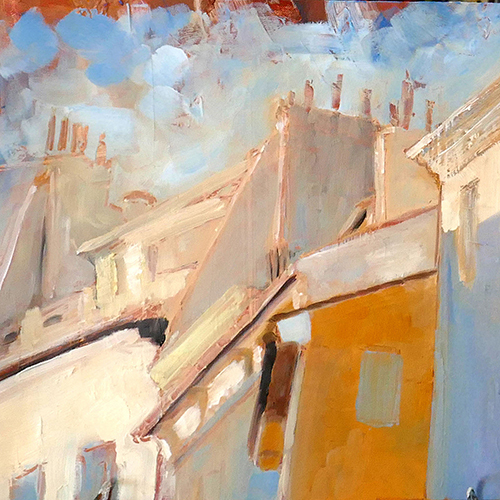 Her subjects are landscapes (primarily southern France), portraits and still lifes, the style loose and gestural. She is fascinated by reflected light, and the way it plays with colours. 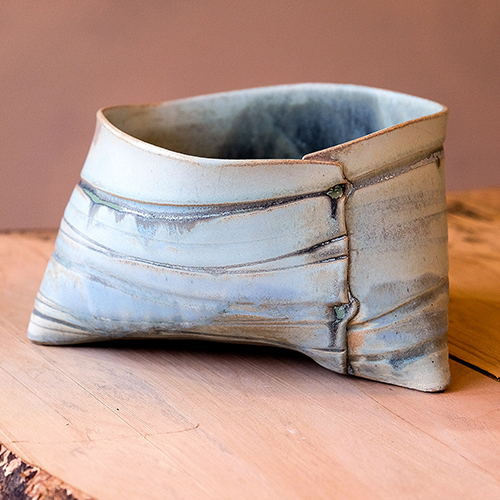 Julia will be showing her richly textured, wrapped bowls, jugs and mugs and her new ‘plant hieroglyph’ series combining plant imprints with drawing on porcelain. 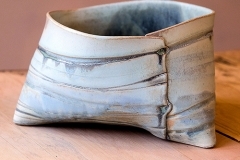 Also on show will be frost-proof stoneware planters for the garden and hand-made tiles to commission.